1976. Old school boards and related to the band Suicidal Tendencies. This is one of those companies that drove culture from a long time ago. 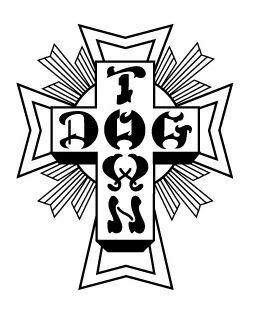 Dogtown was the nickname for that part of Los Angeles. Related to the Dogtown and the Z-boys documentary. If you are interested in skateboard. Have a view.